CNN recently ran a lovely, but terribly incomplete, round up of fashion museums around the world. On the list are some obvious choices: The Costume Institute at the Met and Les Arts Décoratifs in Paris, as well as some far-flung choices. in Kent, Ohio, were all new to me. But CNN, where is LA’s FIDM Museum & Galleries at the Fashion Institute of Design & Merchandising? Founded in 1978, our local fashion museum has more than 10,000 pieces in its collection—including the Rudi Gernreich archive. Last February, the FIDM Museum hosted its “20th Annual Art of Motion Picture Costume Design” exhibition. 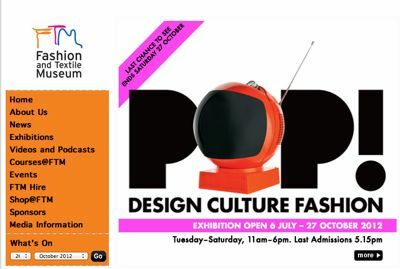 I would also argue the list is missing two important museums in London: The Victoria & Albert (which currently has its own film costume exhibition going on), and Zandra Rhodes’ Fashion and Textile Museum. Less well know, but definitely worth the visit is the Museo del Trajein Madrid, which has fantastic archival pieces and a great tutorial on the history of garment construction. 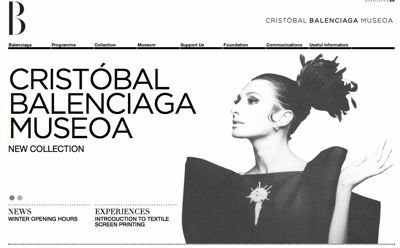 Our fellow Trade Talk blogger, Rhea Cortado, recently visited theCristobal Balenciaga Museoa in Getaria, Spain. Perhaps we can convince her to blog about it. Plus, there are several museums that regularly feature fashion exhibitions, including San Francisco’s deYoung Museum, the Los Angeles County Museum of Art, the Museum of Contemporary Artin Los Angeles, and the Guggenheim Museum in New York. 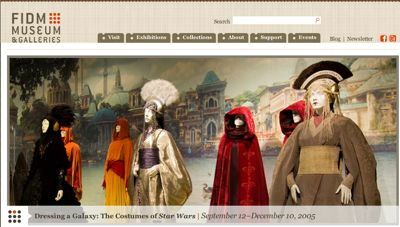 I would also include the Smithsonian Cooper-Hewitt, National Design Museum in New York, which has hosted some really interesting fashion-related exhibitions over the years. (The Cooper-Hewitt is currently closed for renovations, but its exhibitions are traveling. 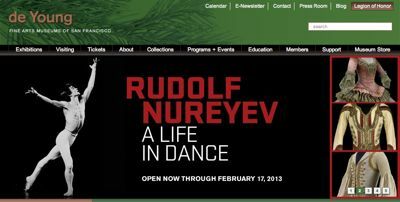 Its “Graphic Design: Now in Production” show is currently at LA’sHammer Museum in Westwood. I’m sure our readers have other suggestions. What are your favorite fashion museums?